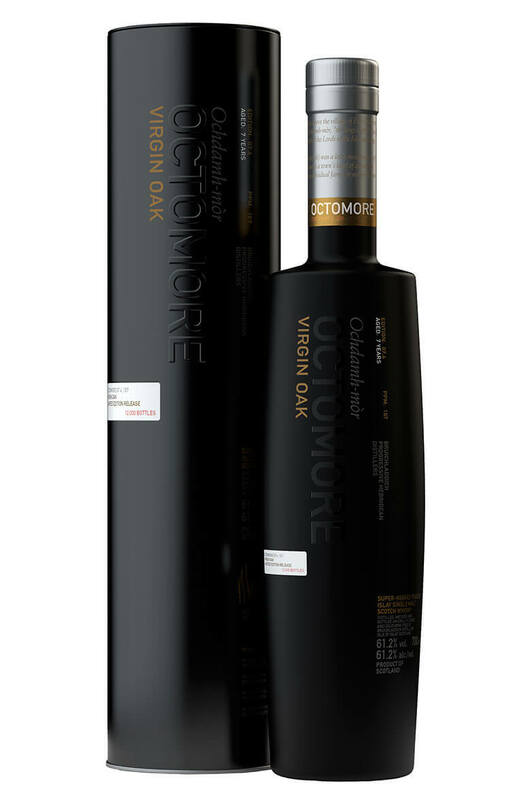 A superb limited edition release of Octomore from Bruichladdich distillery. This is heavily peated to a phenol level of 167ppm. A complex maturation process involves two different periods in virgin oak casks. By all acounts this is more fruity and spicier than previous Octomore releases. Types of Barrel used for Aging 25% aged in virgin oak casks, 75% of it spent 3 years in 1st fill bourbon casks, this was followed by 2 years in virgin oak casks and then 2 more years in first fill bourbon casks.